Thomas Douglas Percy Holden was born in Sydney on 1 January 1859 to his accountant father of the same name and mother, Mary née Walsh. He married Louisa Hodge in Sydney on 16 August 1898 and they had two sons and a daughter. Holden lived and worked in Redfern for more than 50 years from about 1875 until about 1930. He lived at 105 or 109 Regent Street, Redfern and then at 78 Douglas Street, Stanmore. He died at a private hospital in Ashfield on 31 December 1938 and was cremated on 2 January 1939. According to the Evening News, Thomas Holden spent his early career working for the marble merchants, Charles Dobson and Company at 389 George Street, Sydney. From about 1887, Holden ran his own tobacconist and barber shop at 114 or 115 Regent Street, Redfern. At a banquet held in his honour on 14 February 1906 at Redfern Town Hall, Holden and his wife were presented with gifts of an illuminated address and gold bangle. At the party, according to the newspaper, The Worker, Holden described ‘the long hours and arduous toil through which he had struggled to some measure of success’ and that his own ‘experiences led him to hope that the Legislature would yet do more to lighten the lot of the poor and suffering with whom his sympathies must remain while he lived’. Thomas Holden was appointed a Justice of the Peace in 1899. The newspaper, Truth, again scrutinised Holden, publishing letters from members of the public complaining of Holden’s unwillingness and unprofessionalism as a Justice of the Peace. Holden undertook charity work, was also a trustee of the South Sydney Hospital and a life member of the Redfern Cricket Club. McGowen is a pal of his. Thomas Holden served on Redfern Council for 30 years. He was elected as an alderman in 1908 and served until his death in 1938. 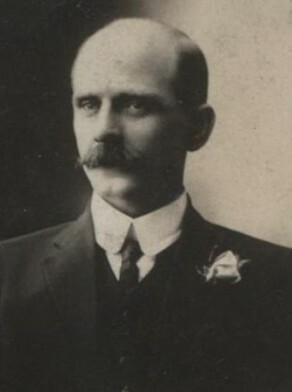 Holden was elected Mayor in February 1911, serving until 1913. He was elected mayor a second time in February 1915, serving until 1916, and a third time on 26 December 1926, serving until 1927. Upon his re-election in February 1914, Holden responded to his critics noting he was ‘up against the capitalists and the red flag flutterers’.